Some people get lucky by being in the right place at the right time; others know how to be in the right place all the time. That person is Elvis and that place is LIV. 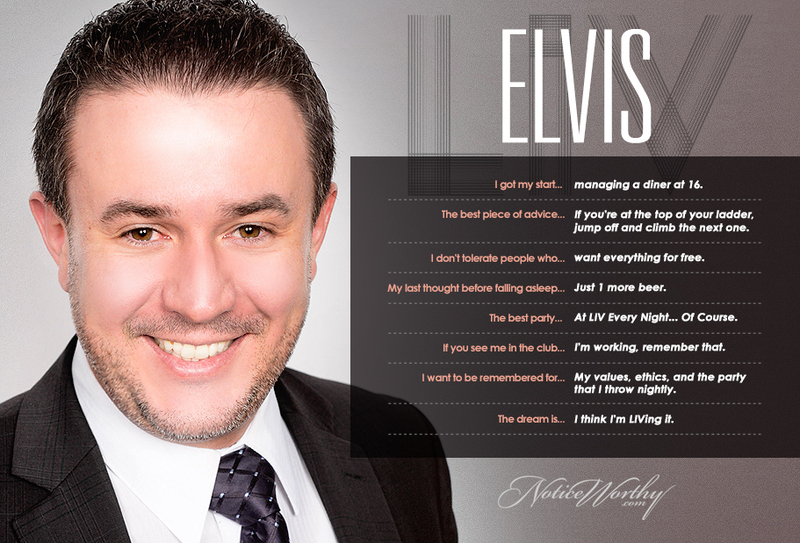 As general manager at the #1 club in the country, Elvis curates the premier nightlife experience for top celebrities and socialites, and we assure you: that has nothing to do with luck.